This weekend, R. and I went to King Arthur Flour to take a class on whoopie pies! It was my Valentine's Day gift this year, and we had such a wonderful time. It was one of the most fun things we've done in a while. 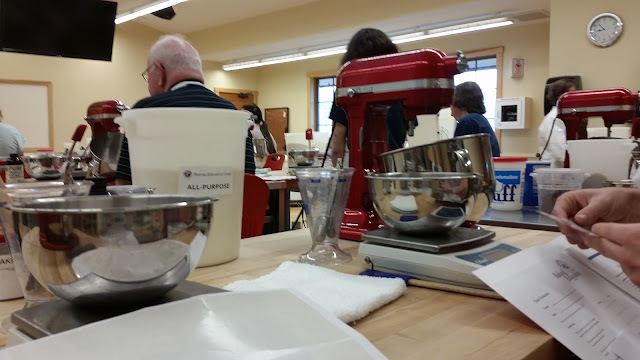 The class was three hours long, and we made two different types of whoopie pie: Classic Chocolate Whoopie Pies and Mini Coconut Whoopie Pies with Lime and Raspberry Filling. Both turned out really delicious, but the classic chocolate was the clear winner! 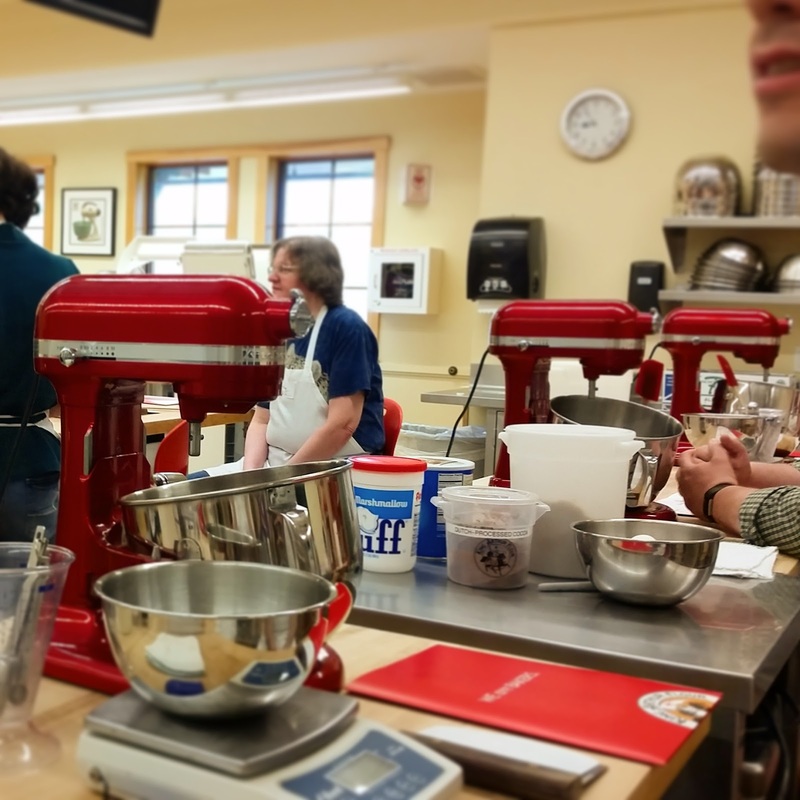 The class moved pretty quickly, with the instructor showing us how to do each recipe before setting us free to try it on our own. 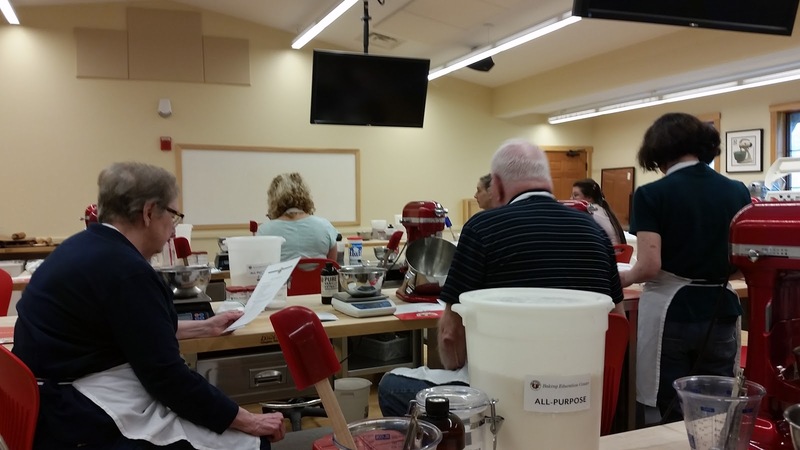 Overall, the class was a ton of fun, and R and I loved collaborating on the baking. We ended up with 15 big whoopie pies and 15 small ones between us, so obviously my coworkers enjoyed a bunch on Monday. We had such a blast that I would 100% recommend taking a class to anyone visiting the area. You can check out the schedule here, and I'd recommend booking early because they usually sell out. 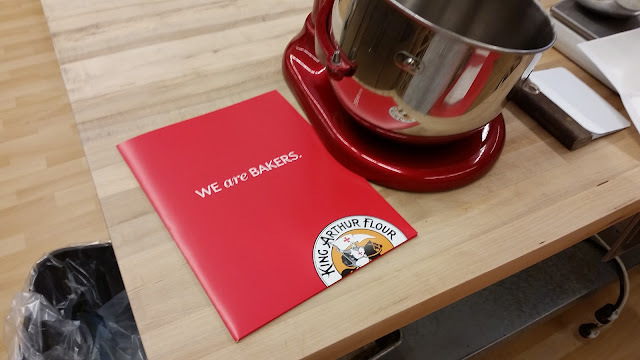 Most classes are between $75 and $150, and in addition to being loaded up with new skills, great tips, and lots of baked goods, you also get a free coffee, a 10% coupon to the store, and a bowl scraper. I can't wait to take another one soon!